With more than 70 years of history on the job in Quebec, Aramark has built an enviable reputation and solid expertise in food services management, thanks to the contribution of talented, skilled, and dynamic teammates. All of our people have one thing in common: the passion for serving up to our clientele, every single day, a unique culinary experience in a truly pleasant ambience. Aramark Québec’s multidisciplinary team brings together some 2,000 employees providing services in almost 150 facilities, including 100 educational institutions at all academic levels, as well as corporations, residential centres, sites in remote regions, and major cultural and sports events. The people who work at Aramark are very well aware of the tastes and needs of today’s student clientele. Our managers are true food services professionals. What distinguishes the Aramark team is its ability to bring our company’s human values right to our customers’ plates. The quality of our people is definitely our best asset. In addition, Aramark’s global network of resources ensures that our expertise is continually updated through sharing of best practices, strategies, and technologies, and it also enables us to keep abreast of the latest food services trends. 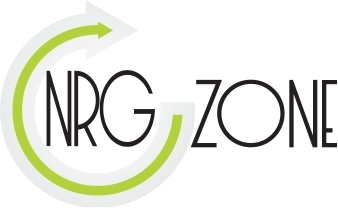 The NRG-Zone program, a brand-new offering from the Aramark team, will gradually be introduced into the food services of a large number of schools in Quebec. Developed by Aramark’s marketing experts with the preferences of the student clientele in mind, this program reflects the living habits of young people and is inspired by their choices, tastes, and nutritional needs. The new program involves the creation of a warm, trendy atmosphere – a young, dynamic, and friendly food services space. The NRG-Zone program also involves the gradual introduction of a new range of popular, healthy foods.